No matter how you cut it, Season 4 was a (huge) mistake. 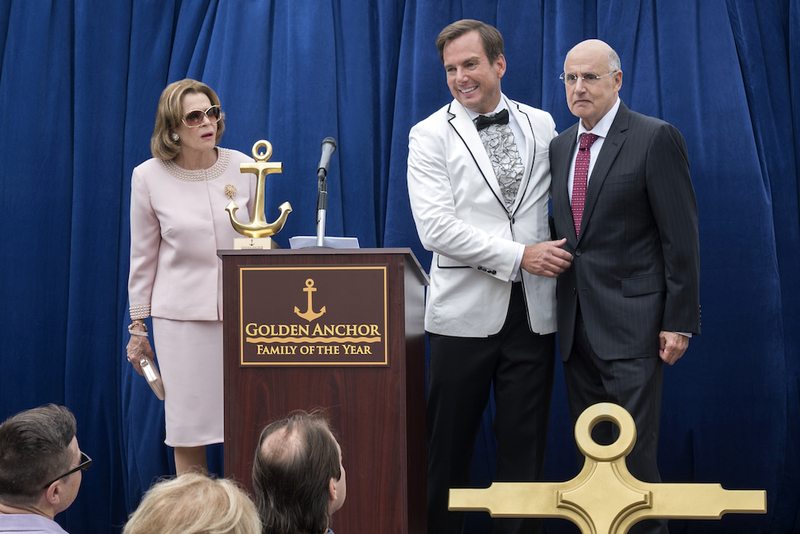 But "Arrested Development" finds enough of a new voice in its old voice for a welcome return. If there was any doubt about the qualitative impact of “Arrested Development” Season 4, look no further than the first episode of Season 5. In spits and sputters (that take the literal form of many recaps and flashbacks), the first wholly new episode in five years struggles to restart its engine after smashing into a wall stairs-first half-a-decade prior. So loud and painful are Mitch Hurwitz’s grinding narrative gears that the Bluth family’s initial reintroduction inspires little hope for the road ahead. But hop on nonetheless. The opening entry exemplifies the pain it takes to overhaul a broken down classic, but the next six more closely resemble the beauty of old and should leave viewers optimistic for what’s coming. In order to qualify for the Emmys, only eight episodes of the fifth season’s 16 total entries will be released on May 29; seven of those were given to critics for review. Without spoiling anything for eager fans — especially because bingeing Season 5, Part 1 will be a much shorter experience than plowing through either cut of Season 4 — there are conscious efforts made by Hurwitz & Co. to course correct from past mistakes. All of them are aimed towards getting “Arrested Development” back to its old self, and most choices are for the better. Sure, there are a few too many forced references to old jokes for easy nostalgic laughs (or blatantly recreated jokes for the same, if more sullied, purpose), but most of the revisions are reminders of why the show worked so well through most of its original run. First and foremost, the episodes are shorter. Learning from the extensive time he spent recutting Season 4 from 15 bloated episodes to 22 lean ones, most of Season 5’s individual entries clock in at about 27 minutes. Two are over 30 and drag slightly, but the fact that the cast is back together — a consistent complaint about the format of Season 4 — helps smooth over some of those speed bumps. Blending characters’ individual stories within one wider familial arc has always been a strength of “Arrested Development,” a comedy that gets chuckles from the writers’ well-orchestrated “coincidental” mishaps better (and more often) than any other. 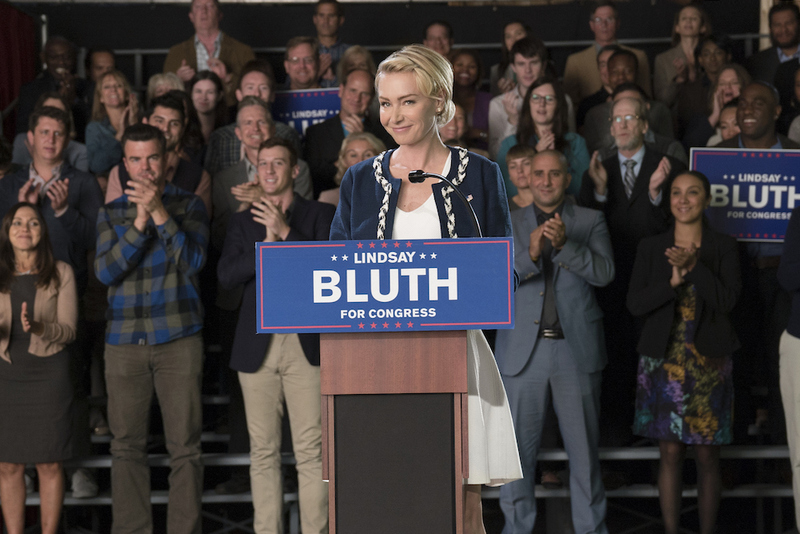 In Season 5, that means how each family member ties into Lindsay’s (Portia de Rossi) congressional campaign — Trump does come up, even though this season is still set in 2015 — as well as a long-rumored murder-mystery storyline that shouldn’t be shared prior to the premiere. Specifics aside, rest assured the individual dynamics are more in line with the personalities fans love. The oblivious, deceitful, and selfish Michael (Jason Bateman) of Season 4 is gone; he’s the moral backbone of the family again and actually tries to do right by his son. George Michael (Michael Cera) gets sucked into the nostalgia trip more than any other character, explicitly revisiting a handful of fan-favorite moments from the past, but he still seems more like the innocent kid audiences watched grow into a man. Maeby (Alia Shawkat) is back in the con game (a la her days as a movie mogul); Gob (Will Arnett) is given more responsibility than he can handle, both personally and professionally; Tobias (David Cross) is asked to blend his acting chops with his ongoing quest to be part of the Bluth family; and George Michael (Jeffrey Tambor) and Lucille (Jessica Walter) are back to being the puppet-masters. Some of this can feel a little too tied to the past. Yet even though there are only a half-dozen or so scenes that stand out on their own — as well-written, executed, and bonafide funny stretches that don’t rely on old gags — plenty of minor moments hit the right note, and the series overall isn’t twisting itself into knots anymore. With the cast reunited and a better understanding of what made the characters lovable lunkheads to begin with, the new season can be effortlessly enjoyable; a pleasure to watch instead of something you have to dig through to find the parts you love. It’s almost more important how “Arrested Development” Season 5 feels than if it can stand up with modern television’s best comedies. (It can’t — not yet, anyway.) You might wince when Ron Howard’s narrator introduces a clip from Season 4, but that reaction serves as a reminder of how much fun the new material can be. These first seven episodes are about the series finding its feet again; walking before it runs, and running before it flies. By Episode 5 or so, you might believe the old stair-car can actually get moving like it did in 2003, and that’s a helluva lot closer than it was five years ago. “Arrested Development” Season 5 (Part 1) premieres Tuesday, May 29 on Netflix.